This weeks theme is Soft & Sweet. You can click the iheartfaces banner to go to their page. 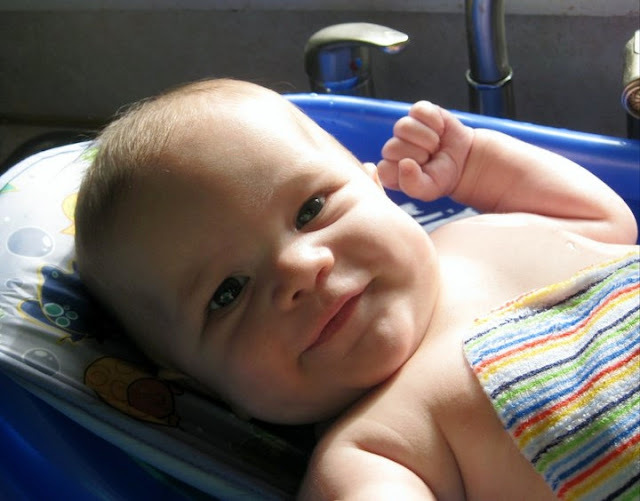 This is one of my youngest son's very first baths. I love how the light hits his face and he is holding up that perfect baby fist with the sweetest grin on his little face. Awwwww makes my heart melt.